Joe Jansen, Vice President, Environmental, Health and Safety; Covidien Inc.
Joe Jansen is Vice President of Environment, Health and Safety for Covidien Inc. 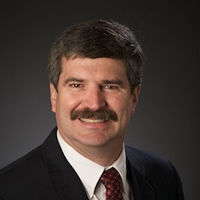 He has 30 years of experience in EHS program implementation in public and private industry sectors, including five years in environmental engineering for a regulatory agency. He also worked for 10 years in multi-discipline team leadership of full-spectrum EHS teams at a large aerospace manufacturing firm and for 15 years, as EHS program Director and Vice President supporting large pharmaceutical and medical device manufacturing.